The University of Maryland-Baltimore County didn’t just beat Virginia in the first victory by a 16th seed over a top seed in the NCAA Tournament. The UMBC Athletics Twitter account put a friendly beating on CBS Sports analyst Seth Davis, too. While Jairus Lyles and his underdog Retriever teammates made history by knocking off the nation’s No. 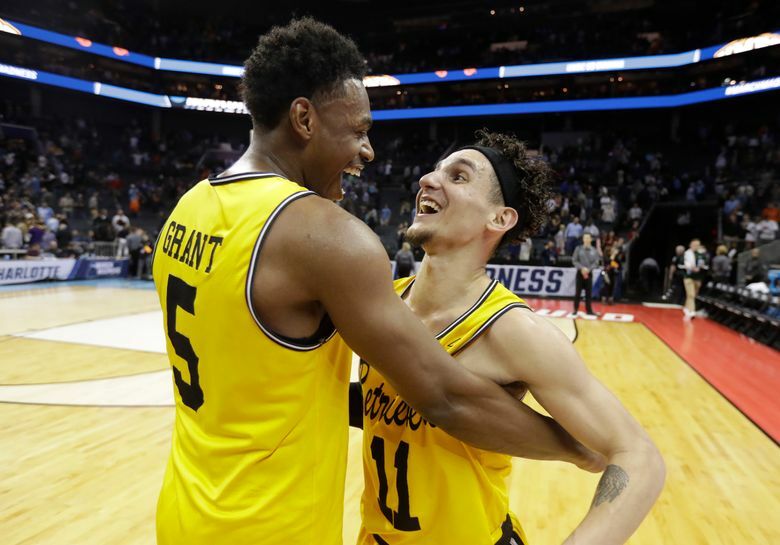 1 team 74-54, a series of tweets jabbing skeptics like Davis and celebrating the biggest victory in school history helped put UMBC on the map like never before. 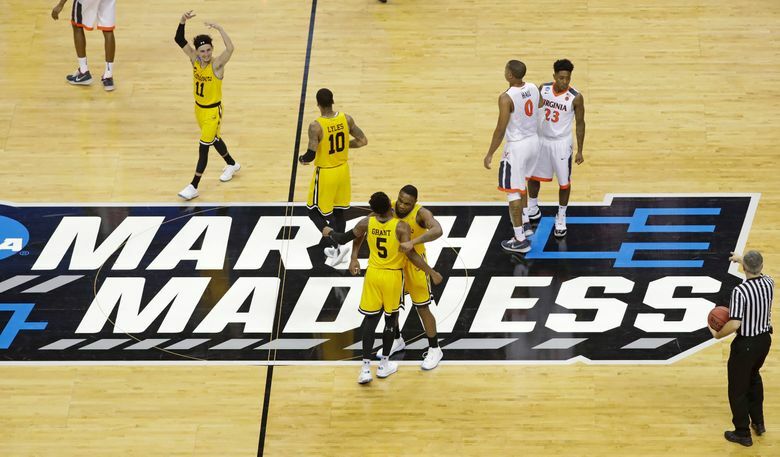 People all over the world were treated to as many nothing-but-net one-liners and gems on social media as UMBC dropped on Virginia on the court Friday night. 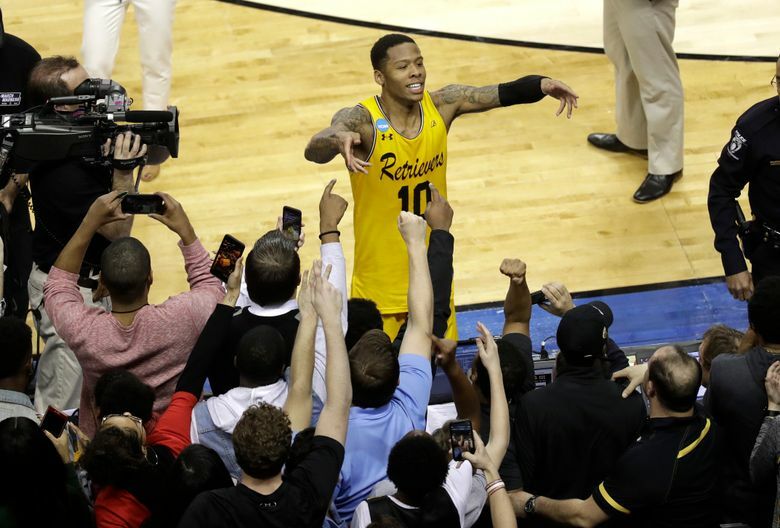 From his courtside seat in Charlotte, North Carolina, Zach Seidel documented one of the biggest upsets in NCAA history tweet by tweet as the voice of UMBC. 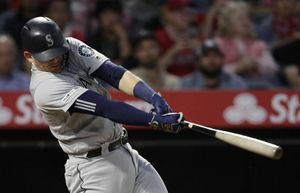 The cascade of retweets, likes and mentions showed he was doing a pretty good job of entertaining a growing audience. Seidel got his bachelor’s degree from UMBC in 2012 and his master’s in 2015. When he found out he’d be running the @UMBCAthletics account during the opening-round NCAA game, he initially didn’t know how he’d approach the night. Then Davis tweeted “Virginia, Sharpie” at tipoff to predict a victory for the Cavaliers. Seidel saw his opening and didn’t miss an opportunity to remind the renowned college basketball writer of the score from time to time. Zach’s dad, Jeff — a reporter who freelances sports stories for The Associated Press — didn’t have any idea his son was behind the Twitter account but in going back and reading the tweets could tell Davis’ declaration made him “kind of ticked.” Zach Seidel light-heartedly poked at Davis with the same precision UMBC had in cutting through the lane to the basket against the top-ranked defense in the country. The commuter school of under 14,000 students 10 minutes away from Baltimore-Washington International Airport has never gotten this kind of publicity. Seidel said the UMBC athletics website crashed during the second half, and the Twitter account went from 5,000 followers at tipoff to more than 30,000 by the end of the game and surpassed 80,000 on Saturday. Seidel’s dad — a UMBC graduate along with his wife, Nadine — thought it already was a good day for the family when daughter and current senior Kara found out she made the Phi Beta Kappa honor society and then realized his son was behind the tweets. Zach Seidel wishes he could’ve been reading Twitter during the game so he could’ve seen the reactions — many of which included videos and photos of Retrievers of the canine variety — but did his part to contribute to the coverage that made this feel like a bigger upset than Villanova over Georgetown in 1985 in part because of social media. Spoiler alert: It’ll be more humor and pride for UMBC as Seidel tries to help turn this Cinderella story into a real benefit for the school.